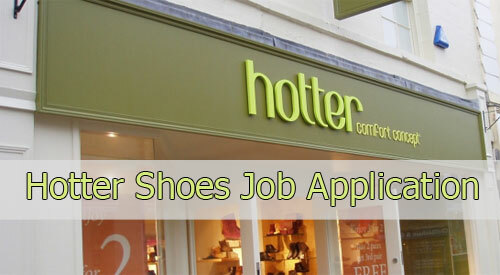 According to the information from and notifications of Human Resources Department of Hotter Shoes Company, you can search for Hotter Shoes recruitment notices and get information about the firm, as a result, apply for a job, from our website. Minimum age to work Hotter Shoes: Age limit is 16 years or older. Generous staff discount and excellent opportunities for training, development and progression. Hotter Shoes’ staff are first and foremost customer service champions. They develop excellent product knowledge and an ability to provide high standards with regards to retail operations too. There are nearly 70 stores open at present with more planned to open soon. Small to medium high street stores with a boutique feel, they work hard and invest money in creating a feeling of quality and comfort that reflects the products they offer. They also have outlet stores which maintain the brand standards whilst offering a great selection of Hotter shoes at great prices. Whether high street or outlet, all stores are carefully located to be at the heart of the community. Hotter Shoes have been making shoes since 1959 in their Lancashire factory, and to this day their constant strive for perfection and obsession with the smallest detail makes every Hotter shoe extra special. Pillow-soft underfoot cushioning, lightweight and lovely, breathable leathers, flexible soles, fittings to suit you, super-soft leathers and flexi-groove soles; they combine quality with fashion trends to produce a range of products that has their customer’s returning time and time again. What cements the brand’s success is their commitment to providing excellent customer service and each member of their store teams is carefully chosen with these high standards in mind.